Juan Pablo Montoya is back at Indianapolis Motor Speedway – one night only, an encore of sorts, in a guest-starring role for Team Penske. The Colombian is entered in the Brickyard 400 for the explicit purpose of winning at Indy in NASCAR and giving team owner Roger Penske one of the few trophies missing from his collection. Montoya is not looking for a good points day on Sunday and doesn’t care about a top-10 finish. It’s checkered flag or bust. 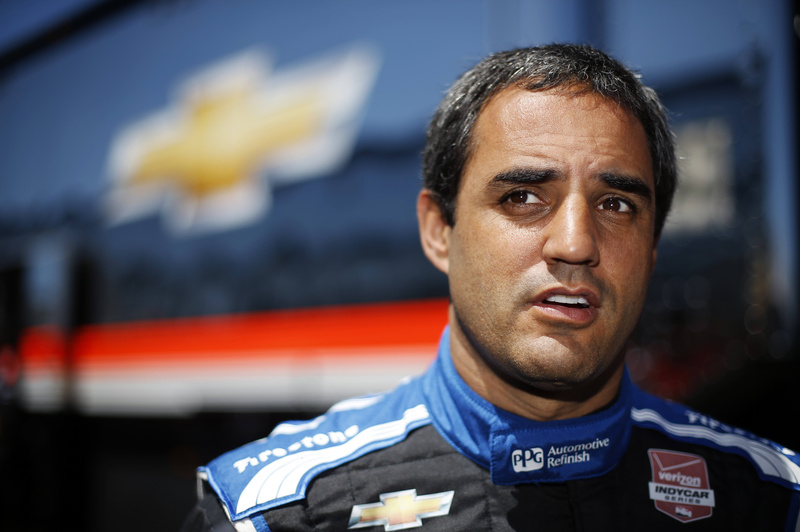 Montoya left NASCAR at the end of last season, when his contract was not renewed by Chip Ganassi. He jumped to IndyCar to drive for Ganassi rival Penske, who has given Montoya the opportunity to return to the Brickyard to get the win that got away. Although he won the Indianapolis 500 in 2000, Montoya went 0 for 7 at Indy during his NASCAR days. But he was close at least twice, and many believe Montoya coughed those wins away. He led 116 laps in 2009 until a speeding penalty on his final pit stop cost him the win, and he was out front the next year with 20 laps remaining until a caution, ill-conceived pit stop and late crash finished him in 32nd. Montoya finished fifth at the Indianapolis 500 in May. Kurt Busch is slacking at Indy. He’s only entered in one race and scheduled to drive just 400 miles. Busch is like any other driver trying to win the Brickyard 400, blending in around the garage without scores of reporters and a documentary crew shadowing his every move. Busch has scrapped The Double for The Single at Indianapolis Motor Speedway. Returning to IMS for the first time since the Indianapolis 500, Busch’s schedule was considerably less hectic, with one practice the only racing on his agenda. “This feels like an off weekend,” Busch said, chuckling. Busch could have made IMS his primary address in May when he tried to make history with an attempt at completing all 1,100 miles of the Indianapolis 500 and Coca-Coca 600 on the same day. Busch earned top rookie honors driving at Indy with a sensational sixth-place finish. After some rest, food and fluids on a flight to North Carolina, Busch fell 129 laps shy of his goal because of a blown engine. Of the four drivers to attempt the feat, only Tony Stewart finished both races. Lewis Hamilton posted the fastest time in the both practices for the Hungarian Grand Prix in Budapest, with Mercedes teammate Nico Rosberg second. Hamilton’s best lap of 1 minute, 24.482 seconds was 0.238 seconds faster than Rosberg’s in the second session around Hungaroring. The Mercedes drivers, who have won nine of the 10 races this season, were the only ones below 1:25. Red Bull’s Sebastian Vettel was third.